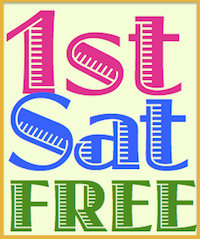 California Genealogical Society and Library blog: Will You Join Us on Thursday Night? Will You Join Us on Thursday Night? 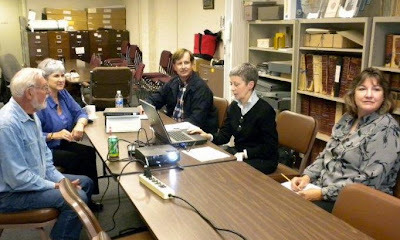 Last Thursday, July 22, 2010, five participants attended the discussion group on French Canadian genealogy. Attendees had varying levels of expertise using French-Canadian records and by the evening's end, everyone had learned something new. Some members came in to take advantage of the extended open hours at the library – until 8:30 p.m. on Thursdays in July and August. Between her weekday work schedule and weekend family commitments, member Lynn Theuriet rarely gets to visit the library. She was thrilled to be able to grab a few hours of research time and she is looking forward to the remaining five Thursday evenings to catch up on her genealogical pursuits. Gary Darnstedt planned to attend the French Canadian discussion group but arrived at 9:00 a.m. to get in a full day of research. He spent his day with Dutch ancestral pursuits and worked on French-Canadian in the evening. This coming Thursday, July 29, 2010, Tom Gesner will be leading a discussion on using NewEnglandAncestors.org – one of the subscription databases available at the library. Won't you join us? RSVP online and let us know you are coming.